Susan has had an amazing OIT journey. First enrolled as one of 9 children in the PRROTECT trial at Lurie Childrens Hospital, she later transitioned to a private practice OIT allergist, Dr. Bajowala. The initial double-blind study with Xolair, medication believed to inhibit the body’s autoimmune response to allergens, found Susan in the placebo leg for the first part of the study, and then she was switched to the active leg. Like a champion, Susan persevered through the trial, poignantly captured every step of the way by her mom. It’s amazing journey through many facets of OIT, both a study and private practice. The blog is an amazing, must-read diary of a real-life OIT struggle through multiple reactions and setbacks. I think anyone who knows me well would agree that I love surprises…and gift-giving. I don’t even need a reason to give a gift — just for fun is good enough for me. Sitting with Dr. Bajowala after Susan took her increased peanut dose, Susan (and I) got a huge surprise — and since it was the day before Susan’s birthday, it also felt like a tremendous gift! After watching Susan consume 4500 mg of pure peanut (about 2250 mg of peanut protein, or 4 1/2 peanuts), Dr. Bajowala opined that she felt that given how well Susan was tolerating her daily peanut doses, as long as Susan tolerated the updose, Susan could begin eating foods with risk of cross-contamination with peanut. Ice cream and cupcakes and candy! Asian and Indian and Thai! The list of places Susan has never eaten, things Susan has never done stretches endlessly…limitations I have never really allowed myself to consider, focusing far more instead on the daily tasks involved in keeping her safe. But, when I stop to think about the ways in which Susan’s life has been limited, it steals my breath away, makes me teary…for Susan, for the thousands of children walking in similar shoes…and I feel simultaneously thrilled and scared (oh sososo scared) of this giant step out of our carefully constructed comfort zone. Carefully, ever so carefully, of course. After some discussion, we agreed that Susan could try one new food or place a day, and Dr. Bajowala casually noted that there was an Oberweis Dairy store just across the street from her office. And then…she suddenly decided she really didn’t want to wait…and I found myself more and more liking the idea of having Susan’s first ice cream eating experience near her allergist’s office. As we sat there, processing the unexpected gift of…freedom, I tried to hide my fear. Before the clinical trial, absolutely every single one of Susan’s anaphylactic reactions to peanut were the result of casual contact or airborne exposure — none of Susan’s anaphylactic reactions have ever been the result of actually eating peanut.Because of our history, I have a very healthy respect for cross-contamination. That said, this…freedom…her belief in a better, freer future…is what has driven Susan through the hardest parts of the clinical trial. My belief that despite the carefully constructed box we have lived in for the last 10+ years of our life, at some point, somewhere, something would happen that would result in Susan having an out-of-the blue anaphylactic reaction has been the driving factor behind supporting Susan’s desire to see the clinical trial through — and to seek additional private oral immunotherapy during the 5-year follow-up study (talk about the best of both worlds!). Thrilled and scared beyond measure, I agreed to take Susan to Oberweis Dairy and Ice Cream Store after her appointment with Dr. Bajowala. And then I got scared. Really, really scared. What if…she has a reaction? Well…she’ll administer epinephrine, and then she’ll take Benadryl, and we’ll call Dr. Bajowala (that’s our protocol, although anyone who receives epinephrine should call 911 and seek care in an Emergency Room immediately). We’ve done this, we know what to do. My what if really wasn’t about anaphylaxis. It was about what it would mean if Susan had a reaction after eating ice cream…or anything else potentially cross-contaminated. I tried to tell that persistent voice that we would deal with those issues if they came up…and I tried not to think about what it would mean if Susan had a reaction to ice cream…or any of the other things she was excited about trying. Pushing down the doubting voice, I suggested to Susan that we go shopping at Woodman’s Market (which we LOVE and which is also very near to Dr. Bajowala’s office) to allow a second hour to pass between her updose and her first-ever typical ice cream experience. She agreed, and we bumped into a food allergy mom who recognized Susan from her video, which was an interesting surprise for Susan (I don’t think she really gets how closely some people are following her journey…). Next stop, Oberweis Ice Cream and Dairy Store. The kind scooper at the counter was confused as I explained that Susan had a peanut allergy, and that because of the severity of her peanut allergy, she had never been in an ice cream shop with freedom to taste all sorts of flavors. I then explained that because of a clinical trial and on-going treatment Susan was involved in, she was now cleared to eat things that might be cross-contaminated with peanuts. As the scooper shifted into allergy mode, a part of me was tempted to just let her do her thing — after all, an added layer of protection would be nice, right?! Well, maybe. And maybe not really. For while I was scared of what might happen, the logical side of me knows that for Susan to benefit from all that she has been through, we need to be sure she doesn’t need those kinds of accommodations. And how to explain to the kind scooper that no matter WHAT precautions they have in place, there is NO WAY we would ever have let Susan have ice cream from there before this. Fighting down my fear and choking back tears, I liberally interpreted Dr. Bajowala’s “only one new food or place” a day to mean Susan could try ALL non-nut containing flavors at the Oberweis Ice Cream and Dairy Store. But there was NO WAY she was waiting until we got home to dig in, so she picked her two favorites (although they were “all so good”) for the car — Chocolate and Mint Chocolate Chip. 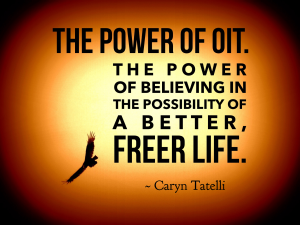 The power of believing in the possibility of a better, freer life. For her Girl Scout project Susan also created a video called “How to Stay Alive”: an educational video about how to use the Epi Pen correctly–and filmed while Susan self-injected during a reaction. The video has received a lot of positive attention and was shared widely among food allergy groups. In 2016 Susan revised the video to reflect the new 3-second injection Epi-Pen instructions (versus 10 seconds previously).